No single home sale is a good indicator of the market, however they do give some insight into what is happening in the real estate market. 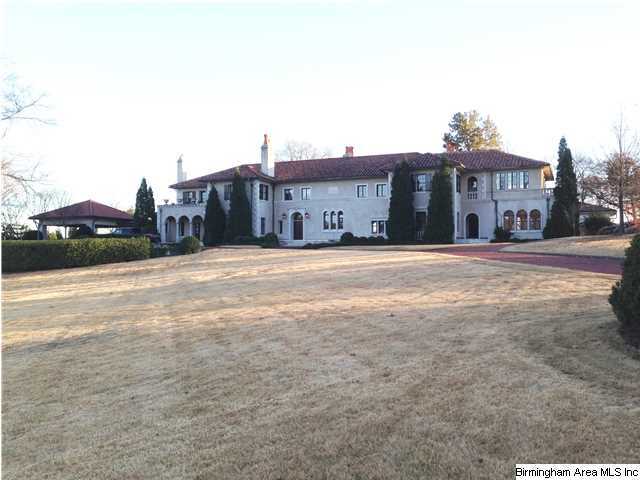 While doing market research in the Birmingham, AL area I ran across a sale that occurred in 2013 that sold for $3,800,000, and because people seem to be interested in high dollar luxury homes I thought I would share it with you. Keep in mind that my data source was limited to the Birmingham MLS, and a higher priced private sale could occurred. The home is located at 3509 Salisbury Road in Mountain Brook. I have written about this area in the past because it is one of the most affluent cities in the state of Alabama. Most of the high dollar homes that sell in the Birmingham area are located in Mountain Brook. The home sits on over 3 acres of land, has approximately 10,000 square feet of gross living area, and took over 2 years to sell. It is a historical home built around 1927 and has mediterranean style architecture. According to the Birmingham Multiple Listing Service the last sale to occur at a higher price was in 2008 when a home sold for $4,200,000. The picture below is courtesy of the Birmingham Multiple Listing Service. As I said before, there is no direct correlation between the real estate market as a whole and the sale of high end real estate but it does give us a point of reference to check against when comparing numbers, especially when you also include real estate sales statistics from homes in other price points. Some of the statistics I typically look at include total number of sales, median sales price, average sales price, days on market, number of homes for sale, and the sale price to list price ratio. By looking at all of these indicators we can get a better snapshot of the market. After all of the MLS data is in I will report on how 2013 compared to past years and I think we will find that it was the beginning of a recovery from the real estate slump we have been experiencing. Question- Has your area started to recover? This can mean subdivision or neighborhood as well as city, town, and community. I look forward to hearing from you.